As part of ongoing cooperation between Thai research centers and Rambam Hospital in Haifa, Princess Chulabhorn of Thailand and her royal entourage visited the medical center this week. At Rambam, the princess signed a formal memorandum of understanding, paving the way for future joint efforts. Prof. Dr. Her Royal Highness Princess Chulabhorn Mahido arrived on May 15, 2011 for an official visit at the Rambam Health Care Campus. The princess was accompanied by her royal entourage and by representatives of the Thai embassy in Israel, the Ministry of Foreign Affairs and the Municipality of Haifa. This marks the sixth visit to Israel of the princess, the youngest daughter of King Bhumibol Adulyadej and Queen Sirikit of Thailand. This current visit is being held as part of scientific cooperation between Thai and Israeli research organizations. Within this initiative, Rambam is conducting cancer research with Thailand’s prestigious Chulabhorn Research Institute. In addition to her royal title, the princess is a Doctor of Biochemistry, and is committed to advancing scientific research in her home country. Likewise, she heads the research center that bears her name, and lectures at different academic institutions. The princess oversees funds that grant scholarships and prizes to researchers, and is a senior member of the UK's Royal Society of Chemistry. In 1986, UNESCO awarded her the Einstein Medal for her promotion of international scientific cooperation. Israel believes in the right to demonstrate peacefully, whatever the object of the protest. However, violent rioting that endangers lives cannot be tolerated. The so-called "Nakba Day" is not a protest against the 1967 "occupation", but a rejection of Israel's basic right to exist, as indicated by its being held on the day of Israel's Declaration of Independence. Instead of promoting a positive agenda of their own, the Palestinians display total negativism, relying on denial, exclusion and rejection of Israel. The obvious needs to be stated again: an end to the conflict can only be achieved through negotiation, compromise and recognition, and not through violence, riots and unilateral moves. Dozens of Syrian rioters ran over the border between Israel and Syria near the village of Majdal Shams, on the Golan Heights. The Israel Army, the IDF attempted to block this massive breach of the border with the utmost restraint. This outburst of cross-border violence could not have taken place without the consent – or the active support – of the Syrian army, given its tight control of the border zone. This appears like an attempt by the Syrian regime to create a distraction from the violent crackdown it is currently carrying out throughout the country. Violent riots in South Lebanon, including attempts to run over the border fence, are organized by Hezbollah, Iran's Lebanese proxy. The atmosphere of the Remembrance day and Independance day is hard to express in words, however, a friend wrote the following in his blog which captures the feelings of the vast majority of us who live here. I hope you agree with this description. In Israel we commemorated the fallen in all our wars and the victims of terrorism on Yom Hazikaron, the Day of Remembrance, the day before Yom Ha'atzmaut, Independence Day, May 9-10. This year, 138 additional names were added to the list of ca. 23,000 people who have died either in uniform or in the name of the State since its inception (i.e. prior to the actual founding of the State). To those who believe in peace with the Arabs, I point out that all of those Jews were killed by Arabs. Included in this number are not only the fallen in our many wars, but the ca. 1000 victims of terrorism, killed by suicide bombings, shootings, stabbings and rocket attacks. Although this number may seem large, it is miniscule compared to the killings of Jews that went on throughout civilized Europe during WWII, when thousands of Jews were killed every day.by every other nationality (Germans, Russians, Czechs, Slovaks, Poles, Lithuanians, Latvians, Estonians, Ukrainians, Hungarians, Romanians, etc. etc.). So we who are Zionists prefer to face the odds with guns rather than being powerless. Although the Arabs have not been successful in destroying us and our State, they are still trying and their culture is still based on hatred of Jews. And now they are joined by a more sinister force, that of Iranian Shia Islam. However, notwithstanding the constant barrage of violence, we are stronger and more affluent than ever before. Israel's economy was virtually unaffected by the economic crisis that brought most other world economies to their knees. Unlike the similar sized countries - Ireland, Greece and Portugal, we had no Bank failures and no debt crisis, We had 7.5% GDP growth rate this year, and the shekel is one of the strongest currencies in the world. Our armed forces are second to none and our air force is probably the best in the world. Our high tech industry is second only to the US and our computer skills are the top in cyber warfare. And now we have an anti-missile system, Iron Dome, the first in the world that works. We are still surrounded by enemies, but they are undergoing serious internal schisms. When I sit in the sunshine in Ha'atzmaut Square in Netanya, sipping tea and eating cake, surrounded by Russian and French immigrants, bringing our total population today to 7.7 million I feel great pride. Even the Israeli Arabs, many of whom celebrate the so-called "disaster" (nakba) of Israel's founding, nevertheless the vast majority of them when polled state that they would prefer to remain Israeli citizens than join any Palestinian State, showing that they are not stupid. Tell that to those knee-jerk leftists who claim that Israel carried our "ethnic cleansing" rather than merely defending itself from constant attack by Arab armies and terrorists, or who claim that Israel is an "apartheid" state. Let them come here and see for themselves the falsity of those stupid claims, or are they afraid to face reality. With positive growth rates in the Israeli economy continuing, attention is now turning to those industries with potential to sustain these growth performances. The Ministry of Finance and the Ministry of Industry, Trade and Labor have signed an agreement to set up a fund with OrbiMed, an international company that currently manages investments in excess of $5 billion in life sciences companies. The scope of the Israeli fund’s activities will amount to $200 million at the initial stage and is likely to grow in the future. The fund will invest in life sciences companies, with a significant proportion of the investments being directed toward the biopharma sector, which the State has identified as a field in which Israel has an excellent but not fully tapped infrastructure. The new fund will be one of just a few specializing in the biopharma sector. Hopefully some significant amounts will be invested in Haifa, where the Mayor and council have earmarked an area of land specifically for the development of the life sciences. OrbiMed Group qualified to make a bid for establishing the fund having met the tender’s high threshold conditions, and at the second stage was required to raise an amount of at least $76 million. OrbiMed succeeded in raising $160 million on the private market, more than double the minimum required. This is an especially noteworthy achievement in view of how hard it as at present to raise venture capital. The total amount that the fund will manage, which, as stated, comprises the amount raised by OrbiMed and the State’s investment, will make the fund into one of the largest venture capital funds in the Israeli industry. OrbiMed’s entry into Israel is expected to boost international investment in the life sciences industry in Israel by $200 million, through co-investments with foreign funds. Director General of the Ministry of Finance, Mr. Haim Shani said that, “the establishment of investment funds is one of the ways that the Ministry of Finance and the Chief Scientist at the Ministry of Industry, Trade and Labor advance their growth policy, which is intended to assist in maintaining Israel’s status as a technological power that makes a significant contribution to GDP growth”. Chief Scientist at the Ministry of Industry, Trade and Labor, Mr. Avi Hasson stated that, “the objective of the investment funds is to bridge the funding gap, thereby removing the obstacles to investing in Israeli biotechnology companies that currently exist in Israel. We have been aware for some time of the potential of the Israeli biotechnology industry and its contribution to the economy, and the setting up of this fund is the crowning achievement in a long line of measures implemented by the Chief Scientist’s Office in recent years aimed at establishing and expanding the activities of companies in this sector”. Managing Partner of OrbiMed International, Mr. Jonathan Silverstein said that, “the decision to operate in Israel resulted from the recognition of Israel’s vast potential in the life sciences sector in the coming years. In the last two years we have witnessed tremendous momentum in this sector in Israel and major growth in the number of companies at various stages of clinical trials. OrbiMed has examined the government programs of other countries around the world and has concluded that the combination of the programs of the Israeli government together with the potential of the local industry is the most attractive”. Still saving children from Chernobyl. 25 years after the nuclear accident, Chabad is still bringing children suffering from the effects of radiation to begin new lives in Israel. 93 flights have rescued over 2700 children. “Whoever saves a life, saves an entire world”. Interview with Bernard Bar-Natan, the Israeli inventor of the amazing new bandage that is now standard NATO issue and has already saved countless lives. Four new anti-cancer proteins. Using “predictive biology” Israeli biotech Compugen has discovered protein several variants that generate antibodies to stimulate the immune system into targeting cancer cells. New drug can treat incurable disease. Sufferers of progressive multifocal leukoencephalopathy (PML) die within 6-15 months, but latest trials of Israeli biotech Can-Fite’s drug CF-102 show it is effective on the virus. Triple good news for diabetics. First, Israel’s D Medical unit received Canadian certification for its Spring universal infusion sets for insulin pumps. Canada has the 6th highest incidence of Type 1 child diabetes. USA FDA approves infusion sets. The Food & Drugs Administration has also approved the Israeli device. Israeli cell-based therapy to go global. MacroCure’s breakthrough product treats skin ulcers in the legs of diabetics. The treatment is only available in Israel currently but international trials will commence soon. Israel solves “insoluble” problem. Some vital drugs do not dissolve and have to be administered intravenously, often with severe side effects. 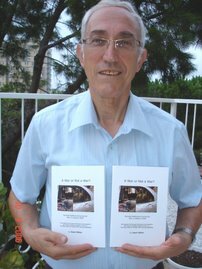 Now Hebrew Uni head scientist Simon Benita has invented “nano-capsules” which allow such treatments (e.g. anti-cancer drugs) to be taken orally. Israeli medical robots set out for Europe. International healthcare & electronics giant Philips is to use remote precision robotic-assisted control solutions from Israel’s Corindus to treat obstructed coronary arteries. Israeli shirts are good for you. A joint Israel-Portugal team has developed the Niturit – a T-shirt that monitors your heart and transmits data to a medical centre in real-time. It has been chosen by Europe’s Space Agency. Indian governor praises Israel. The North Indian state of Haryana will adopt Israeli technology to process brackish water for agriculture. Haryana is one of India’s most important farming and industrial states. Israel – the largest R&D country in Europe. Of the 40 members of the European inter-state body for Research and Development (EUREKA), Israel has the most approved projects (14 out of 89). Cleaning up in Peru & soon the UK. Mapal’s sewage treatment was Good News in January. Now it has even more orders, thanks to Israeli funding and a unique oxygenation device that reduces maintenance costs by 80%. Thought-controlled computers. Ben Gurion Uni students have developed innovative technology that could enable people (e.g. disabled) to operate a computer without using a keyboard or mouse – only their brainwaves. Knowing your bees. Researchers at the Hebrew Uni have established a system for matching bees to their favourite flowers. The knowledge will improve crop fertilisation and expand food production. Engineering a path to success. The Israeli charity Ort has launched a new program to allow outstanding, highly motivated yet underprivileged students to train as engineers at schools including here in Netanya. Arab and Jewish Israelis unite in Rap group. A unique item – good news from a BBC website. Co-existence in Maternity Ward. Gaza woman and Israeli neighbour recover together with baby daughters. Save a Child’s Heart pilgrimage. Following heart surgery, Muslim and Christian children are taken on a visit to their holy sites in Jerusalem. More Arabs join Israeli Defence Forces. There was a 200% increase in non-Jews joining the IDF. Muslim and Christian Arabs volunteer increasingly in order to improve their career prospects in the Start-up Nation.